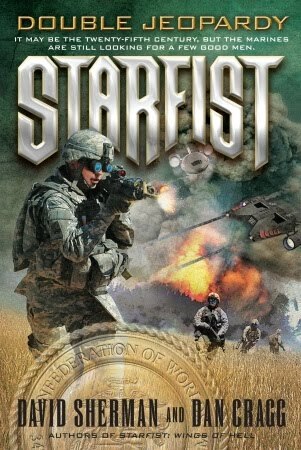 David Sherman is the co-author (with Dan Cragg) of the acclaimed military science fiction Starfist series. As a Marine, he fought in Vietnam, and brings his real-life experience to his writing. The fourteenth Starfist book, Double Jeopardy , came out in December. David was kind enough to chat a bit about writing, getting shot at, and even putting together a Star Wars novel. Sci Fi Bookshelf: For those who haven’t been lucky enough to pick up a Starfist novel yet, how would you describe the series? David Sherman: Starfist is unique in several ways in the military science fiction field. For one, the novels are told primarily from the points of view of the enlisted men who do the actual fighting. I said “points of view.” That’s because there isn’t one specific focal character; if anything, the platoon is the focal character. Different characters take front and center in different novels. Also, 34th Fleet Initial Strike Team is an expeditionary unit. That means they keep getting deployed on different–and different kinds of–missions, rather than going from engagement to engagement in an ongoing war. SFB: Do you feel that because of the changing cast of characters, Double Jeopardy is accessible to a first-time reader? Or would you recommend starting with an earlier book? 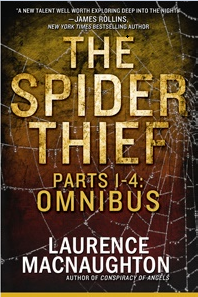 DS: I’ve heard from some readers that Double Jeopardy can be read without having read any of the earlier books. But there is an ongoing backstory, so the reader can get more out of the book if one reads it from the beginning . SFB: Speaking of beginnings, you were in the So It Begins anthology not too long ago. What can you tell us about it? DS: So It Begins is an anthology of original military science fiction stories. My entry, “Surrender or Die,” was written as the prologue to what was to be the fourth book in my DemonTech series. DemonTech was fantasy with some realistic twists. SFB: You also wrote a Star Wars book a few years ago (Jedi Trial, Star Wars: Clone Wars ). Did that feel like a radical departure for you? DS: Jedi Trial was indeed a radical departure. We want to be as realistic as possible with our characters and the military. It was difficult for us to write the broadly-drawn, melodramatic characters Star Wars requires, and to write about military units with such a minimal (or even non-existent) structure. SFB: How did you and Dan Cragg end up working together on these books? DS: Dan and I have known each other since, I guess, the mid-1970s. I went through a period in the early 1990s when I couldn’t interest publishers in my work. Dan, who was writing militariana books at the time, pitched an idea to me for a non-fiction book for us to collaborate on. We wound up writing Starfist. SFB: Do you and Dan Cragg have any particular method for writing together? DS: Dan and I get together to write an outline. Nearly all of the books have multiple storylines. We each write specific lines, and strive to avoid contradicting each other. SFB: How much of your real-life military experience as a US Marine in Vietnam makes it into your books? DS: Having been a Marine infantryman is central to what goes into these books. Marine culture is different not only from civilian culture, but from other military cultures. I’ve heard from many current and former Marines thanking me for getting it right. My Vietnam experience allows me to write convincing combat–I know what it feels like to shoot at someone and to be shot at. Thank you for the interview. I will have to pick up one of the Starfist books.